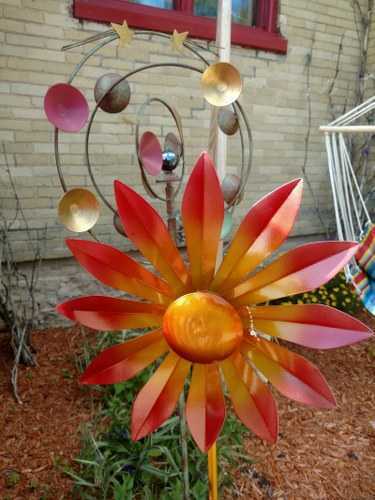 Decorate your garden or landscaping with these beautiful art pieces. Garden stakes come in different heights, shapes and sizes. Some spin in the wind, others are used to feed the birds, and a few just bring enjoyment to the space. Service Area: Lodi, Oregon, Waunakee, Verona, Reedsburg, Wisconsin Dells, Mc Farland, Mount Horeb, Cottage Grove, Marshall, Poynette and surrounding communities.